The band returns to Aldershot to play in the town centre. 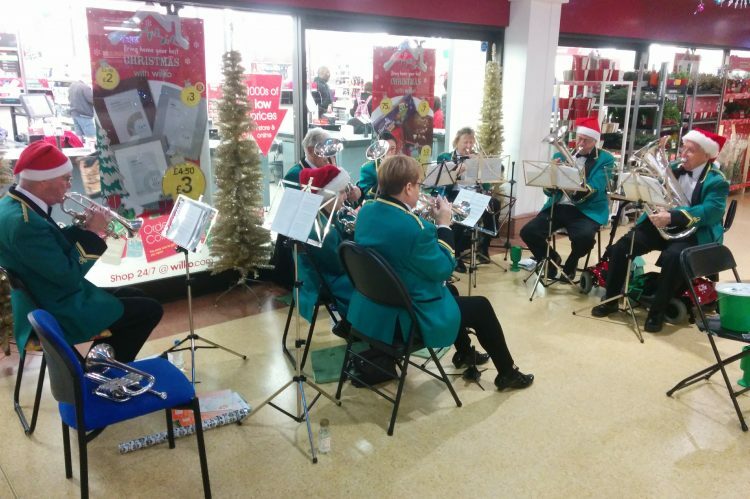 For the second time this season the band heads to Aldershot to play carols in the town centre from 2.45pm to 4.45pm. Please feel free to turn up and have a listen – and do some of your Christmas shopping! Intersection of Union St and Wellington St in Aldershot town centre.